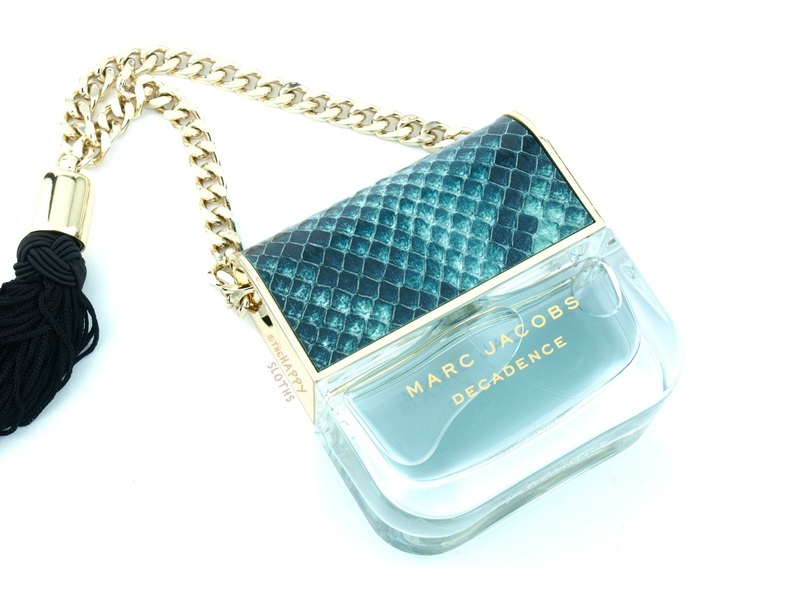 Similar to the original Decadence, Divine Decadence comes in a unique purse-shaped glass bottle topped with a faux-python covered cap. 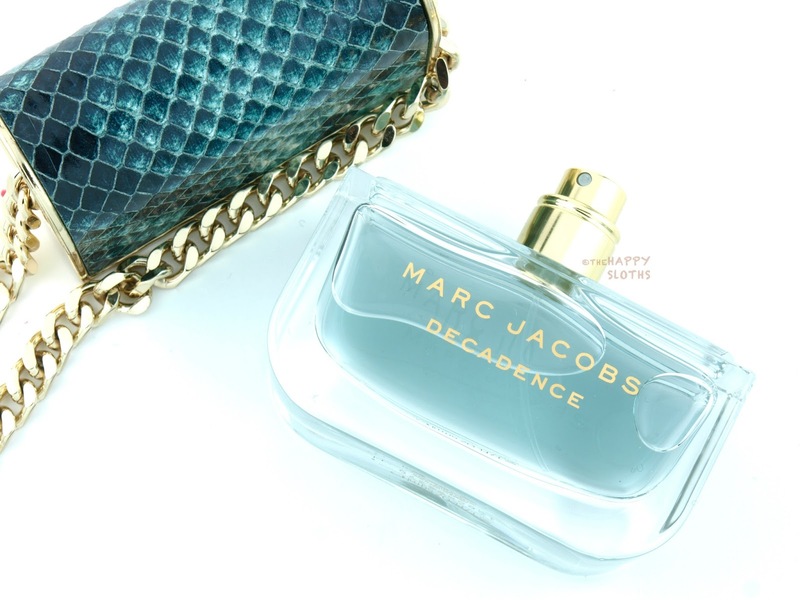 Unlike the original, however, the glass bottle for the Divine Decadence is clear and the fragrance is tinted teal. The python skin also has a more colorful pattern, as compared to the completely dark emerald of its predecessor. As mentioned in my review of the original, the cap of this thing attaches very securely so you can actually tote the bottle around with its gold chain and tassels. With a fairly different scent profile, Divine Decadence definitely reminds me of the original Decadence. Despite not having plum listed in its notes, this fragrance still opens with a tart but slightly sweet burst of plummy goodness. The sparkling champagne is definitely omnipresent, adding a dash of lightness and festivity. The scent is said to be very heavy on the saffron but because I honestly don't know what saffron smells like, I can't tell you if that's true. Interestingly, the scent reminds me of candied hawthorns, a kind of sweet yet sour Chinese fruit that's often prepared with a clear sugar coating. Compared to the original, Divine Decadence is a lot lighter and sweeter, lacking that smoky vanilla-y sophistication. I really liked the original and I really like this new version but I almost wish that Marc Jacobs made a blend of the two so you get a longer lasting tart plumminess from Divine Decadence that's still balanced out with the warm and smoky woods and vetiver of the original Decadence. In closing, Divine Decadence is younger and lighter scent that's very intoxicating and unique. 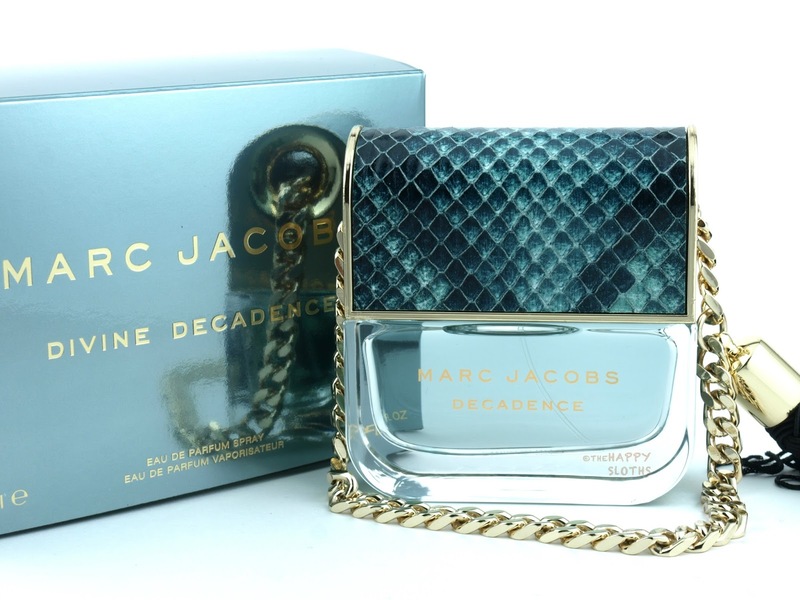 Unlike most Marc Jacobs fragrances, Divine Decadence (and the original Decadence, for that matter) strays far from the cookie-cutter fruity-floral profile and I would definitely recommend testing it out in person to get a better idea of the scent.